She sat across from me, leaning in, with tears in her eyes. She listened to the story. Today (Monday) I’m having surgery. A simple procedure. I recently tore my ACL and meniscus playing basketball in a school-wide event. The injury warrants arthroscopic surgery. “A simple procedure,” I’m told. I know better. I bring a different perspective to this day. My mother-in-law died from complications of the same surgery twelve years ago. A blood clot from her leg traveled to her lungs and she died. It happened quickly, before all of our close-knit farm family could make it to the hospital. It rocked our world. After that day, our life was never the same. As my friend listened to the story of why this day brings immense pain, her eyes welled with tears. I’m not afraid of the surgery. I’m not afraid of dying. I’m reliving the pain of a day that changes your life forever. The moment when everything you know around you is not the same anymore, the moment when God seems to be everything you never thought He would be. The moment when your heart shatters into a million pieces. I’m reliving the memory of a someone who loved with a pristine love. A love I’ve never experienced before or since. A love that was so good that when it is ripped away the pain infiltrates every part of your body. As my friend sat there, listening to me ramble, she got it. She got the depth of the love, the depth of the loss, and the depth of the moment. Through her tears, though she knew nothing of the situation, she understood the depth certain moments bring to our lives and the depth of love that is so dear. She understood this is not just another day, just another surgery, just another death in the family. She understood how deeply this life moment impacts me. She didn’t pass it off, or let me know others have it worse than I do. She listened. She heard. She cared. She was a glimpse of the woman I miss so deeply, a woman who loved well in moments others may overlook. Our eyes met. The tears rolled. And deep called to deep. Lord, Jesus, thank you for people in our lives who are your eyes and ears. Thank you for people in our lives who understand us, who take time to listen, who love others well. Thank you that behind every emotion, you know the reasons why. Thank you for each of us with a story behind the story, you know and you care. Amen. I’d love to hear who, in your life, has loved you well? So poignant. I only hope to be able to love like this someday. Look at the impact of love! Through your loss, you have demonstrated to us perfectly. Thank you, Brenda. Brenda, I’m glad to hear that you Knee scope and ACL procedure went well. Just remember to move around some. I also wanted to say how sorry I am about your mother in law, I know it’s really late but I’ve thought about approaching you or someone in the Yoder family for years. I was the nurse in the room while she had her scope done. It was like any other we had done. I was told that she had died, I was in shock. After that I would see Randy, Roger, Ron and Rob and want to say how sorry I was, but carried a lot of guilt. I don’t exactly know why but just couldn’t bring myself to say anything and for that Im sorry. Again I hope things continue to go well in your rehab. Jeff, thank you so much for sharing this. We know you had nothing to do with what happened, just as the nurses or Dr. helping me would not be able to predict something going wrong in my case “like any other.” The difficult part is knowing God had her time chosen and we’ve each processed that in our own way. Thank you so much for caring. That’s what is nice about being in a small community because we look out for one another. Thanks, again. Blessings to you as you are a caring presence with the patients you work with. Brenda, I just want you to know that I also had a scope at about the same time Lois did by the same physician and he shared with me how badly he felt. He had never lost a patient and in his words,” they are such a nice family.” Lois not only made a positive impact on her family but on her church and the community as well. At this time I know you have had your surgery and pray that your rehab goes smoothly! Thanks so much for these words. They mean a lot. Lois did have such an impact on other people – I often try to explain to people that she loved people so well and had such impact, and we had the privilege to be her family. Thank you for taking the time to share this. You’re in my heart and prayers today, Brenda. Your pain is deep, and the Lord has that, too, in the palm of his hand. I want to cry with you. To loose someone you deeply love and care about in a sudden , unexpected way is a a very sad, painful tragedy. Reliving them seems like it only happened yesterday. These are the times when we need a someone to pour out our heart with all abandonment. To have a shoulder to cry own. For someone to catch us when things are too much to bear. May they be our family, friends and yes, our God who will always be faithful. “I’m reliving the pain of a day that changes your life forever. The moment when everything you know around you is not the same anymore, the moment when God seems to be everything you never thought He would be. The moment when your heart shatters into a million pieces.” You are not alone my friend. Someone in another corner of this planet is sharing those tears. I hope and pray that you will have a safe surgery and the best of health. Thank you so much for these precious words. I honor them just as I honor the moments you have walked that make you understand them. Our God is so good. Thank you. 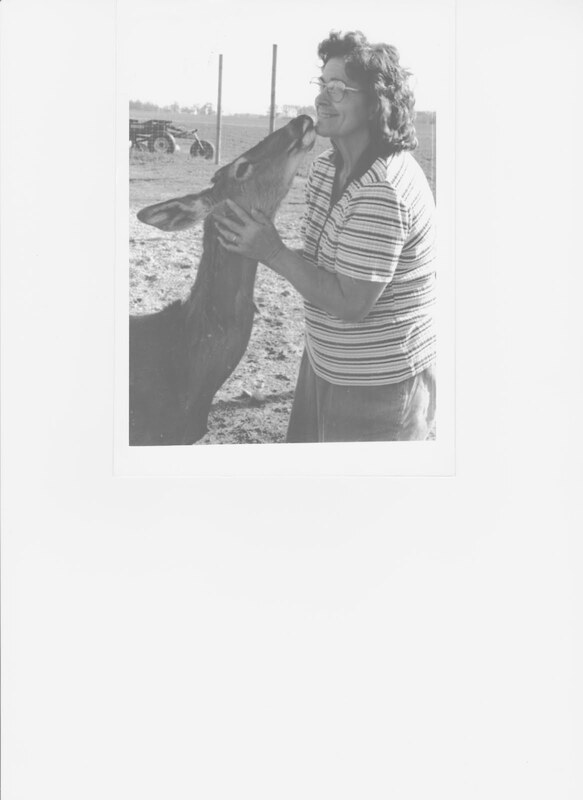 Lois was a wonderful woman, one of my mother’s best friends. Such a loss for your family! My grandma Schrock was the person in my life who I always knew to love me unconditionally. She died when I was in my late 20’s and I miss her still. Thank you, Brenda. I know you Lois missed your mom greatly. Thank you for sharing. Lois to you was like my Grandma Hostetler was to me. Nothing can fill the hole they left. We can only pray that God will help us to be more like them and him each day. The greatest gifts they left us were unconditional love and an unwavering faith in Jesus. Thanks so much Penny. I remember your grandma that way too.